Compare prices on car hire in Olbia from all the major brands and find the best deals. When you book through us, unlimited mileage and insurance are always included in the price given. 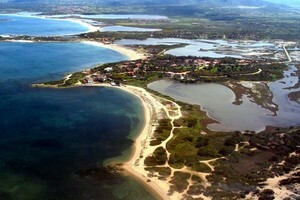 Olbia is a port city on the northeast coast of Sardinia .Here live about. 47,000 inhabitants (2005). Olbia has ferry connections to the Italian cities of Genoa , Livorno and Civitavecchia. The city which until 1939 was called Terra Nova Pausania, is old. Its roots go back to the time when the Romans and katagenere colonized city. The country’s arable land made it an important trading post. The old part of town can still be seen today. Here is the old city walls, and Roman baths. The Roman church of San Simplico from the 1100s are made of granite and has a collection of Roman funeral inscriptions. Olbia is a good utangspunkt for those wishing to explore the famous resorts of Smeraldakysten, or visit Porto Rotondoor. They can see the many archaeological findings and fight cavities, such as Su Monte and S’Abe. Olbia Costa Smeralda Airport is approx. five kilometers from the center of Olbia.